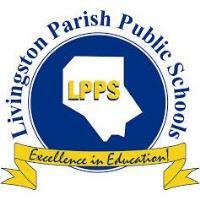 The Livingston Parish School Board is about to exercise their most important vote as a board, selecting the next Livingston Parish Public School superintendent. No duty is more important to any board of directors and that is certainly the case with the leader of the public school system. Five candidates have applied for the position, three from inside the school system, one from Thibadeaux and one from New York. Interviews for candidates will begin on Monday, April 15th. The school board has set the schedule for interviews beginning at 1:30 p.m. Each are one hour and beginning at the following times for each candidate. 1:30 p.m. - Dr. C. Michael Robinson, Jr. The vote will take place at the LPPS Board meeting on Thursday, April 18, 2019, at 7:00 p.m. in the LPPS meeting room. School board members were invited to be a part of the chamber's annual Education in Livingston Parish's luncheon. Thrirteen students were recognized as chamber scholarship recipients. Nearly every high school in the parish was represented. The scholarships are provided by local businesses in a fund dedicated for business and education initiatives.